Verizon drops wireless throttling: Customers with unlimited data plans are probably shocked. In late July, Verizon Wireless announced a new effort to provide customers with the “best wireless data experience possible.” To ensure that all mobile users would enjoy “quality wireless data,” the company said in a statement, it was expanding a “network optimization” policy to cover heavy 4G users with unlimited data plans. The bad news was that those customers might experience slower speeds during certain high-bandwidth activities (video streaming, online gaming). But the good was that this was best for everyone, the statement reassured, with five uses of “best” sprinkled into its seven short paragraphs. For some strange reason, though, customers didn’t quite see things Verizon’s way. Instead, they expressed concern that Verizon intended to punish heavy data usage by “throttling” speeds on busy networks. And as it turned out, Federal Communications Commission Chairman Tom Wheeler agreed. A few days after the announcement, Wheeler wrote a letter to Verizon saying he was “deeply troubled” by the plan to slow connection speeds for certain users. “It is disturbing to me that Verizon Wireless would base its ‘network management’ on distinctions among its customers’ data plans, rather than on network architecture or technology,” Wheeler wrote. 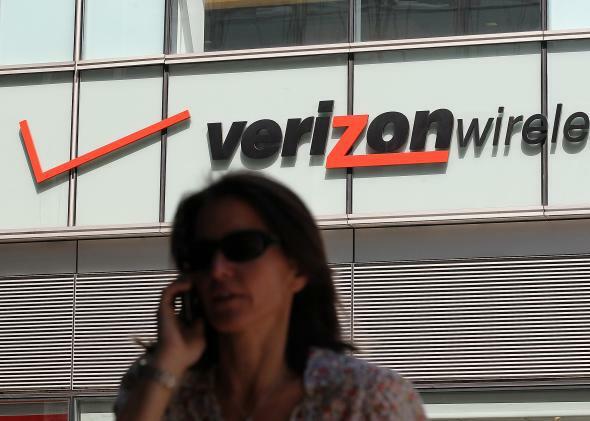 The throttling plan was scheduled to take effect Wednesday, but in its place Verizon issued an updated statement saying it had “greatly valued the ongoing dialgoue” of the last few months and had decided against constricting data speeds for 4G LTE users on unlimited plans. Greatly valued! Slowing down data is one of several tactics Verizon has used or considered to shake unlimited data users off of their grandfathered plans once and for all. Another common strategy is forcing unlimited users who want an upgrade to buy their own devices in order to hang onto the plan. (If you’re a Verizon user who wants the iPhone 6, is this worth it? We crunched the numbers on that last month.) AT&T also throttles users on unlimited plans, but the structure is a little different, with the reduced speeds kicking in after the first 3 to 5 GB are used each month. Verizon’s decision to nix mobile data throttling is a big win for consumers, even if a small subset of them. On the other hand, don’t expect the company to improve wireless everything. Chances are Netflix streaming will still be slow.